With the dawn of the digital era, publishers are now beginning the inevitable transfer from print media to online content. Many of these publishers have launched new initiatives to create cheaper, more efficient content targeted at digital devices, yet there are still others that have dragged their feet on embracing the digital revolution. The New York Times, one of the most popular print newspapers in the United States, recently announced plans to charge a subscription fee to frequent users for viewing their site and go through Apple’s periodical subscription plan to deliver content on iOS devices. Will the content justify the egregious monthly price of fifteen dollars? After many years of deliberation, The New York Times has finally announced its paywall plans. On mobile devices, the news provider says it will allow iOS sales to be facilitated through Apple’s iTunes store, which means that the Cupertino-based electronics manufacturer will get a 30 percent cut. Similar packages will be instituted on the Android platform as well as Blackberries, but not through applications like on iOS devices. Instead, users will go through the Times website. Starting at fifteen dollars monthly, users will be given web and mobile access, but it will cost twenty dollars for iPad access and thirty-five for an all-access pass. Current print subscribers will be given access to all mobile and Internet resources free of charge, which comes as no surprise considering the fact that they are the most devout Times customers. Beginning on March 28th, visitors to the company’s website will be able to read 20 articles every month, but upon reading a 21st article, users are prompted to select one of the new plans. The company justifies this by saying that it would only charge loyal readers, not driving away the casual visitors that make up for much of the site’s traffic. The fact of the matter is the digital market is being saturated with great, cost-efficient news providers already. News Corp., a major competitor, recently launched The Daily, an iPad-exclusive newspaper that costs a minuscule $0.99 weekly. Generally achieving success, The Daily hooked users in with a trial, providing multimedia-rich content that was visually immersive and interesting. The publication is intuitive and modern on a tablet device such as the iPad. The New York Times could have hesitated a bit too long in committing to a long-term plan for expansion in this sector, giving rise to new blogs and and news providers as legitimate replacements for news. 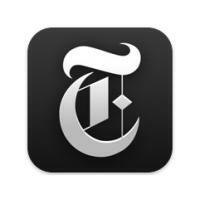 What does The New York Times need to do to be successful as a digital format? For one, they could bring prices down to make their site more competitive, but that will never happen consider the infrastructure the company constructed. Another improvement that can be made is on the content front, as the introduction of immersive multimedia content targeted at Internet-age readers will result in the proliferation of mobile subscriptions. What do you think? 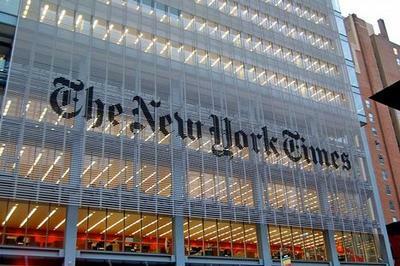 Would you be willing to spend over four hundred dollars annually to have complete access to The New York Times? Would you rather go with a cost-effective alternative like The Daily? Sound off in the comments below.